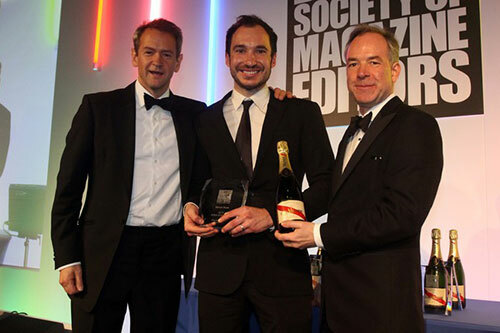 City journalism alumni have been named winners in three categories at the 2015 British Society of Magazine Editors (BSME) Awards. 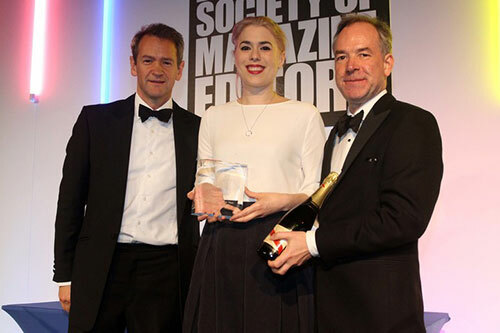 The BSME awards are considered to be the one of the most prestigious in UK publishing, recognising the best of the best in the magazine industry. Winners picked up their awards at a glamorous gala dinner at The Brewery hosted by British comedian Alexander Armstrong. Alongside the winners, alumni were also shortlisted in several categories. Anna Winston, (Magazine Journalism, 2007) is the Editor of Dezeen and was named Digital Editor of the Year for Business. Talking about her time at City, Anna says the Magazine Journalism course she completed in 2007 helped to kickstart her career. "City helped me get my foot in the door. I graduated just as the recession was about to hit and I sometimes wonder if my career would have developed in the same way without the freedom to experiment with digital journalism and the leg-up into the industry City gave me." Simon Kurs, (Magazine Journalism, 2004) is the Editor of easyJet Traveller magazine. He was announced the winner of the Branded Content – Consumer category and says he was “beyond chuffed” to have won. The BSME is a UK society for magazine and website editors and senior editorial staff. Its aim is to represent the needs and views of all editors.